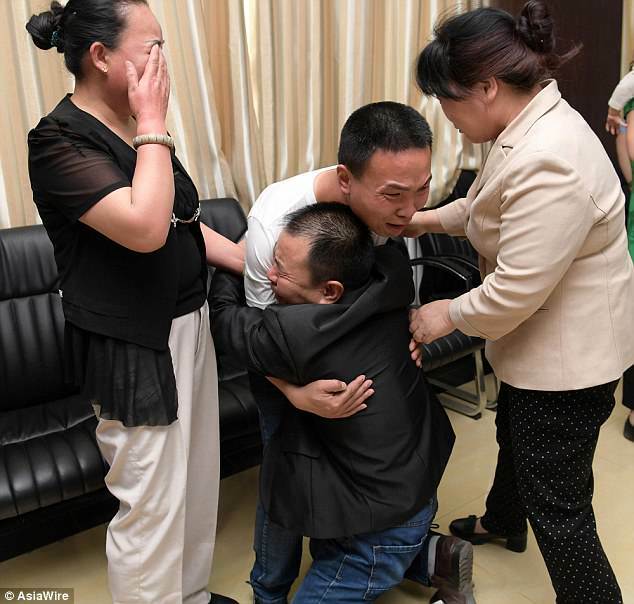 It was an emotional moment when a father in north-west China was finally reunited with his missing son after almost 24 years.Father Li Shunji and mother Du Li lost their then three-year-old son on the busy streets of Xi’an city on August 8, 1994. 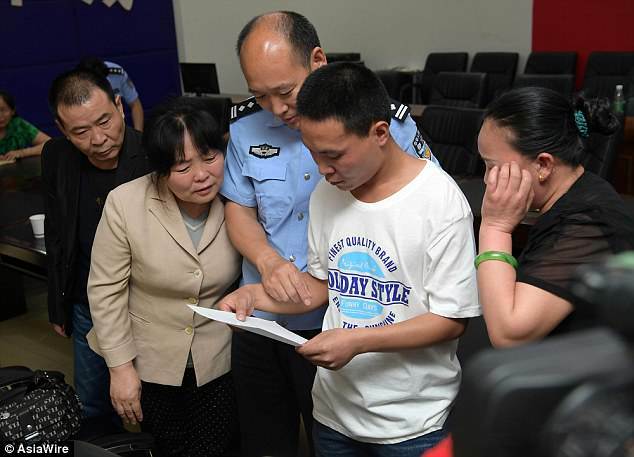 Li Lei, 27, was finally able to meet his 59-year-old biological father on Friday after local police successfully identified him in a DNA database of missing children. Mr Li vividly remembers the day he lost his son, affectionately known as Lei Lei. ‘I left home to start selling clothes at my stall,’ he said. ‘I hadn’t realised that my son had followed me,’ father Li Shunji, 59, told Chinese Business Gazette. ‘I only realised that he had gone missing after my wife came looking for me at the shop. My legs went numb instantly,’ Mr Li recalled. A couple found the lost toddler wandering on his own and decided to take him in after as they could not locate his parents anywhere. Luckily, Lei Lei’s parents raised the as their own son. ‘Communication technology back then did not enable us to seek help efficiently,’ Mr Li said. The father then sold his business and began travelling across the country in a bid to find his son. He printed about 180,000 copies of missing-persons notices and carried them in nylon sacks across the country, delivering them to various provinces. The distressed father said he lost 59 pounds in three months. The lucky break came when local police were able to identify Lei Lei in a national DNA database for missing children. 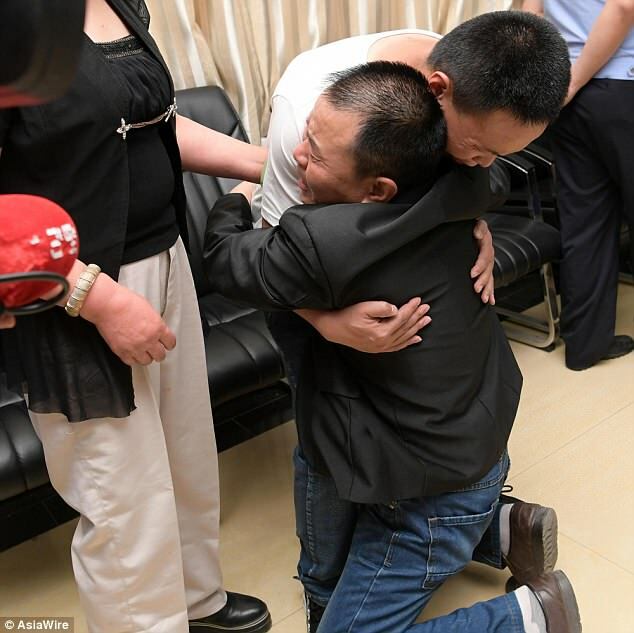 At the tearful reunion, the weeping father dropped to his knees the moment he saw his son – who is now a grown man. Lei Lei, also overcome in excitement, took his father into a long embrace. 0 Response to "Father Breaks Down In Tears After Reuniting With Lost Son After 24 Years (Photos)"